Who doesn’t like burgers? 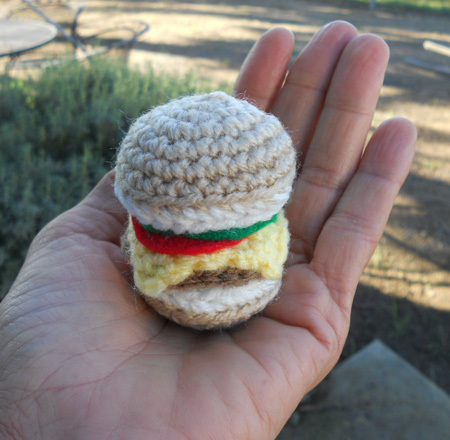 Here is a free pattern to make a calorie free, cholesterol free, gluten free hamburger. Technically, it is also a vegetarian sandwich since the meat is fake! 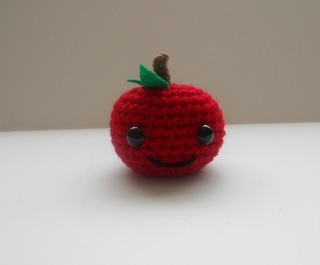 I used Red Heart Super Saver yarn to make this amigurumi, but you can use any yarn you like to make this project. 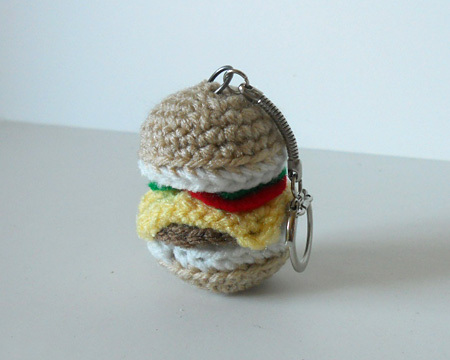 This burger is about 2 x 2.5 inches, can be used as an decorative ornament, keychain or a food toy for a little girl’s kitchen set. 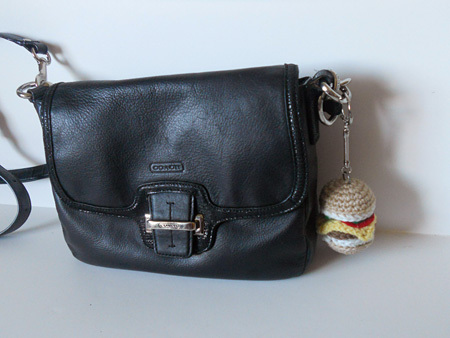 I used mine to decorate my purse, it looks really cute as a side ornament. 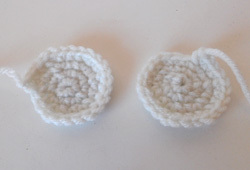 Start sewing the bottoms with the buns using the front stitch of the bun and back stitch of the bottom only to embroider the two pieces together. half way through sewing start stuffing with fiberfill. Do not stuff too much, you want the bottom to remain flat. Weave in the remaining threads into the stitches of the bun. 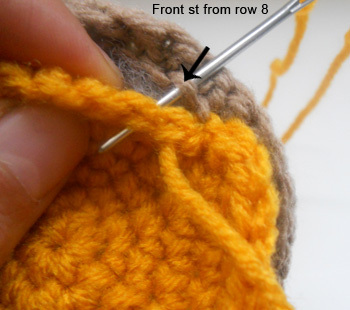 Fasten off, and embroider the remaining thread into the stitches. 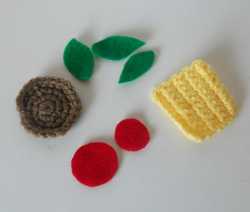 Cut two round shapes in red felt, and three leaves in green felt (tomatoes and lettuce). Glue the burger on the bottom of the bun with a glue gun, or fabric glue, followed by the cheese, tomatoes and leaves. Glue the top of the bun on the stack (do not put glue too close to the edge of the bun), press firmly. Voila! the perfect calorie free hamburger! 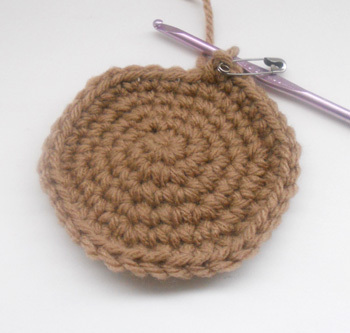 I hope you enjoyed this pattern and if you have any questions, don’t hesitate to ask me in the comments section. It’s almost Thanksgiving, turkey, stuffing and gravy, mash potatoes, cranberry sauce, and pies! This is the time of the year when we forget about our diets, and just enjoy food until new year commitments. 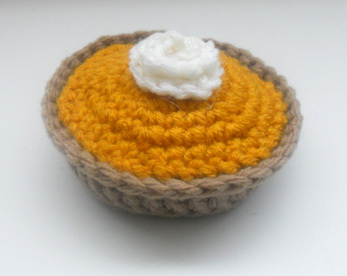 Here is an alternative that will distract you from guilty cravings, a non-edible pumpkin pie! 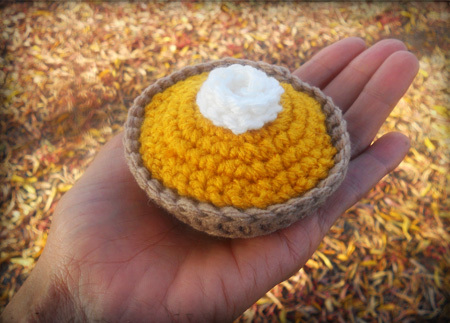 As usual, this pattern is easy to make, a cute decoration for Thanksgiving, and it will take you less time than to bake a real one. 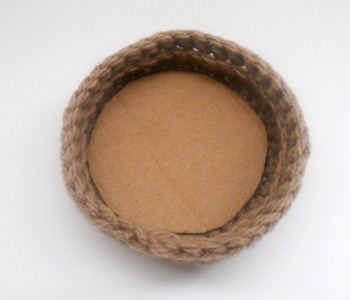 – Cut a piece of cardboard, or thick paper in the shape of a circle, and glue it at the bottom of the crust. This will keep it flat when you start stuffing. – Stuff the pie with fiberfill, then sew the top with the crust using the front stitches inside the crust to join the two parts together. 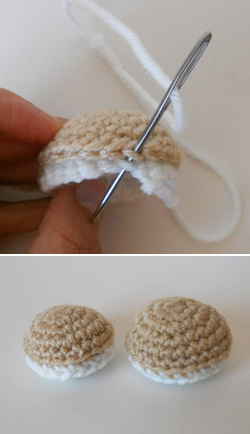 You can add some fiberfill along the way if you feel it needs more stuffing. 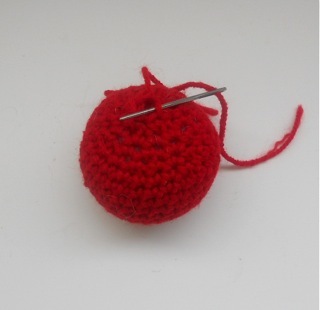 Fasten off, weave the loose ends into the stitches. 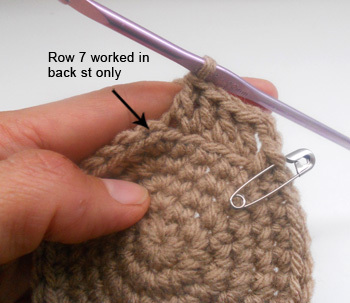 The row should curl naturally, just use a bit of glue to keep it together, flatten it a bit with your fingers, and glue to the pie. Voila! Your pumpkin pie is ready! You can apply the same pattern to make different kind of pies by changing the color of the top part, for instance make it cream color with red balls to simulate berries. I hope you enjoy this pattern, and if you have any questions, please feel free to leave a comment. 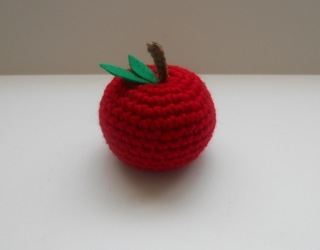 Now, take a long piece of red yarn and needle, insert it from the top of the apple to the bottom, weave it back to the top, pull both thread to make the bottom go inward, and make a tight knot. 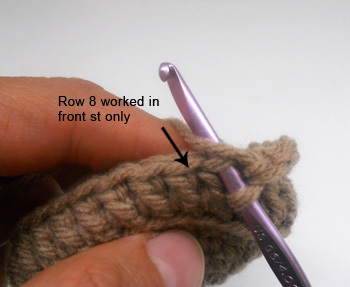 Weave the yarn back into the bottom the same way, pull, and make a another knot. This will give your apple its shape. Rnd 2: 6 slip st, fasten off. Use the threads to attach the steam to the apple. 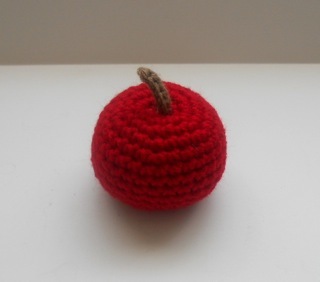 weave the remaining yarn in the apple, and cut. Just take a piece of green felt, cut into leaves shapes, one big and one small. Glue to the top with a glue gun, or fabric glue. 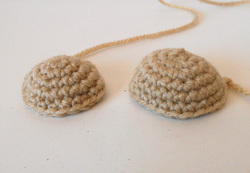 If you want to make this really fun, you can glue some goggly eyes and make a mouth with a yarn thread. 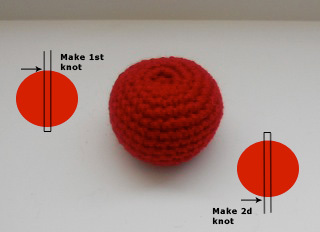 This one was made with safety eyes, which you would pin before finishing the ball. Hope you enjoyed this tutorial. Let me know if you find it useful, and if you have any questions about this tutorial, don’t hesitate to comment.